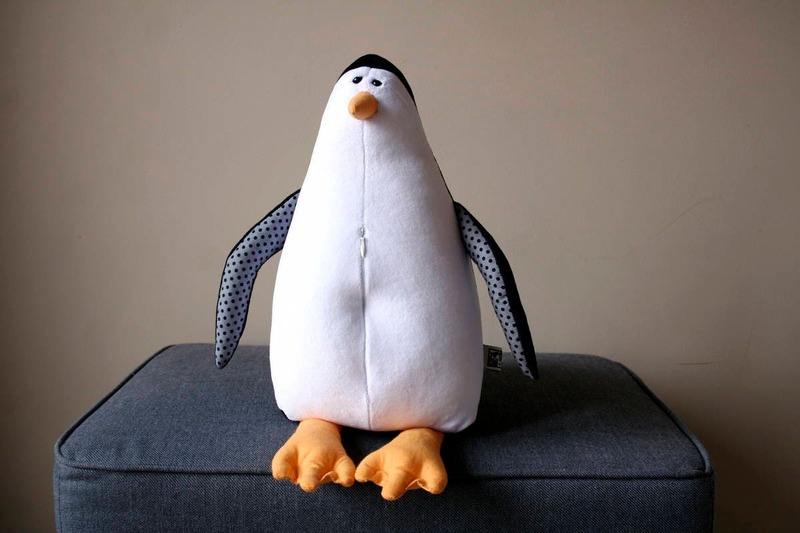 Penny the Penguin is made of black and white plush fabrics and filled with high quality siliconized polyfill. The outer materials are Oeko-Tex 100 Standard certified high quality fabrics. Feet and beak are made of bright sun yellow canvas. Inner wings are black and grey polka dots canvas. 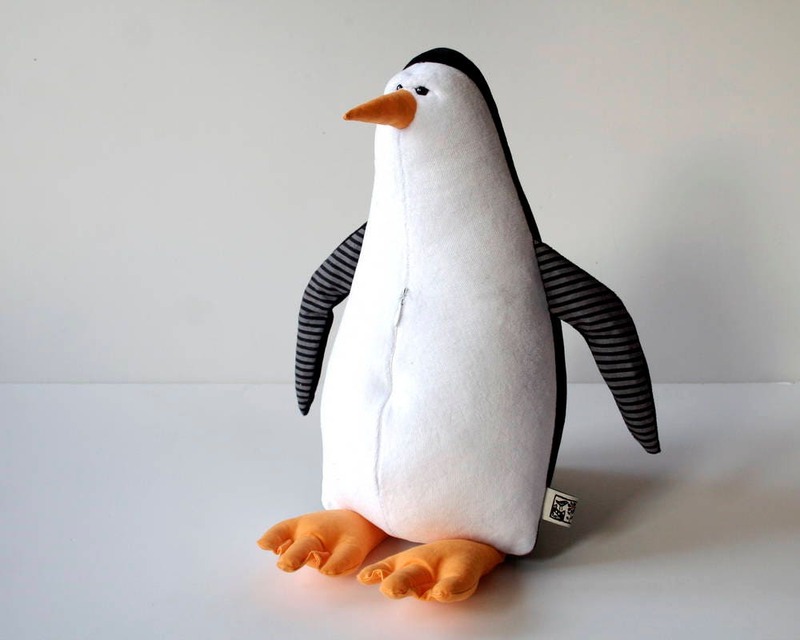 The Penguin is 14" (35 cm) tall! 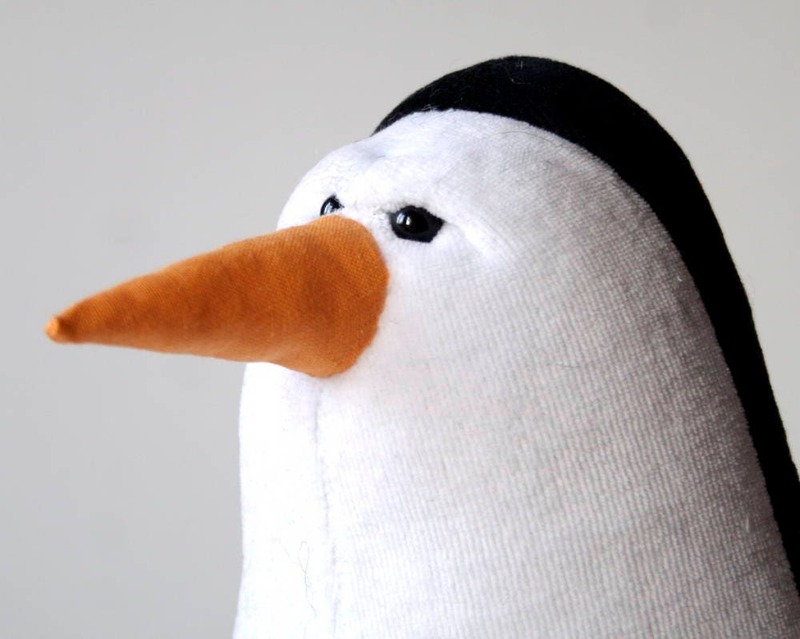 Pollutoys are adorable, plush sea animals, but behind their cute faces lies a sad reality. 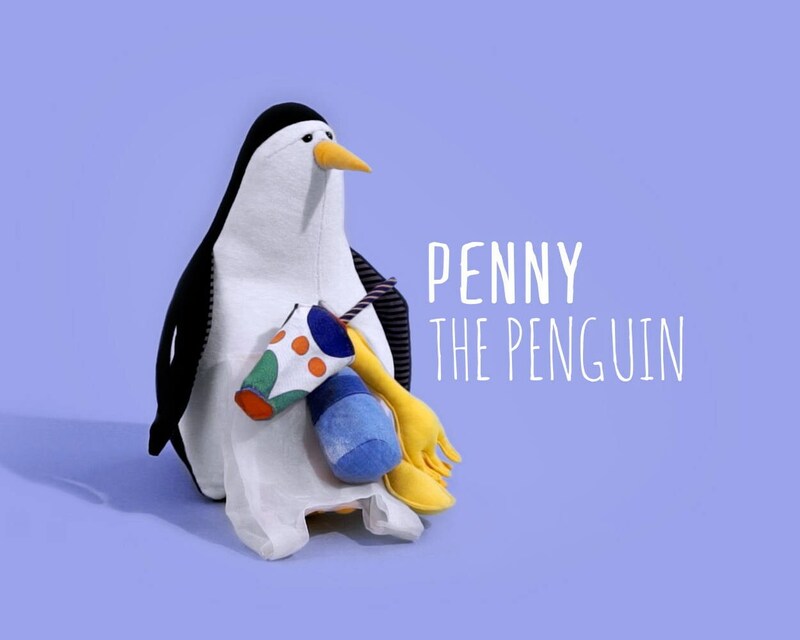 Their insides are crammed with indigestible plastic garbage: bottles, bags cutlery, cups, and all of the other plastic junk that makes its way to our oceans. 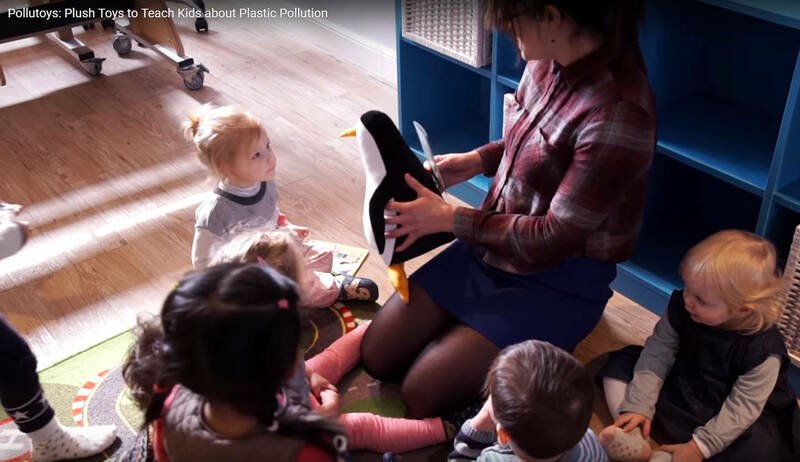 Studies show that reaching young children with a message of environmental consciousness can help build a foundation that lasts throughout their lives. 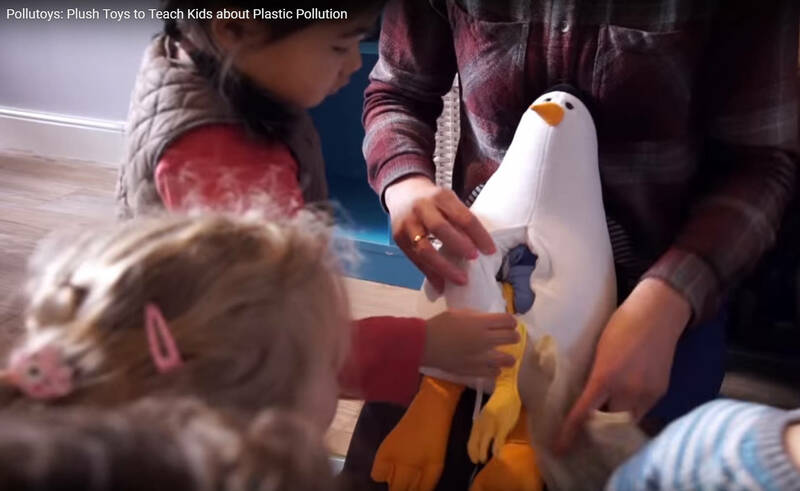 That makes pollutoys a fun way to encourage the next generation to fight ocean pollution. 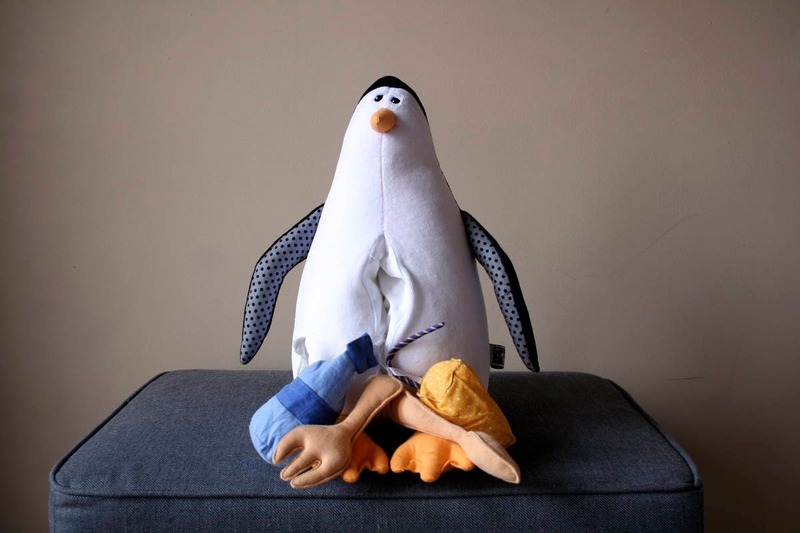 Pollutoys campaign is for Sea Shepherd. 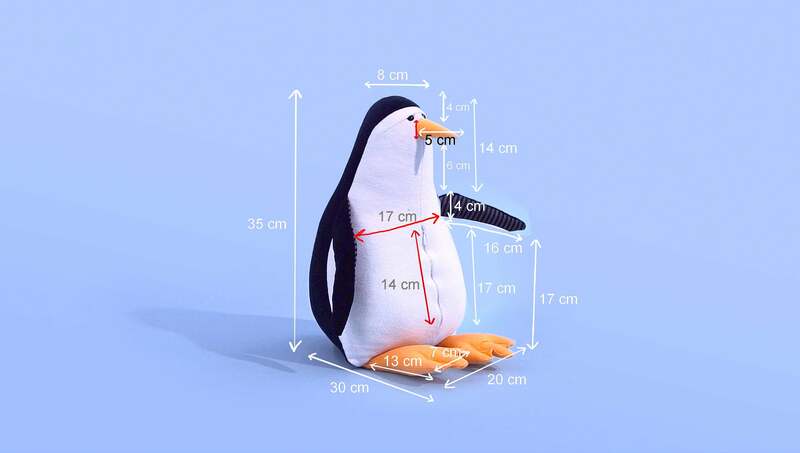 The concept and the video was created Fred and Farid (Shanghai) marketing agency. 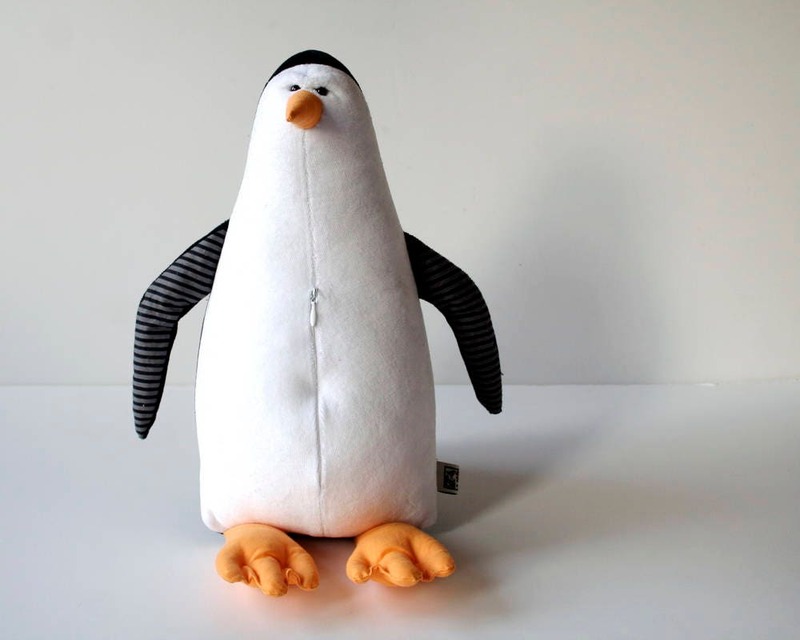 I am contracted to Fred and Farid and designed the toys for this campaign. I am licenced to make and also sell Pollutoys. 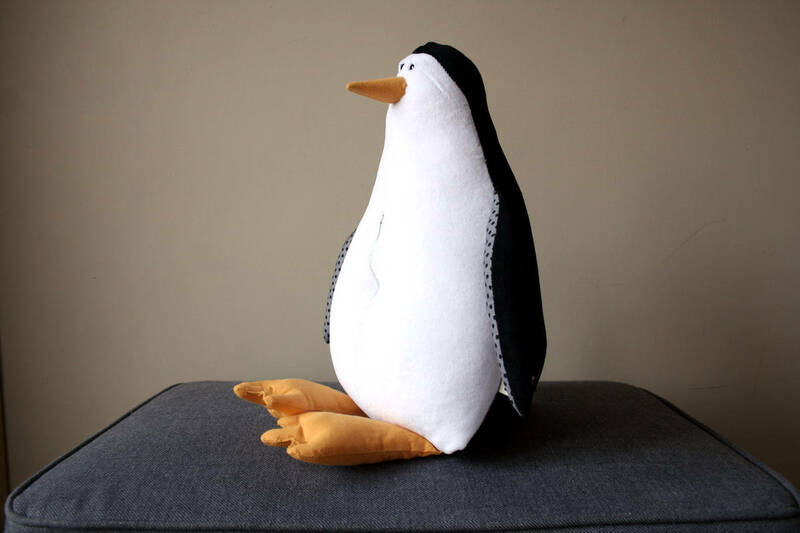 Pollutoys are all handmade by my Budapest artisan studio. Me and my colleagues make these toys all by hand. We use Oeko Tex 100 Standard certified outer materials for the toys and fill them using a high quality siliconized stuffing material. Pollutoys are machine washable using low temperature and a mild detergent and can be tumble dried. All Pollutoy have a belly pocket with some "garbage items" in it. Garbage items are also handmade from textiles, totally baby safe, but please note that the belly pocket's zipper have a small metal handle.